The color of your stool may seem irrelevant. However, clay-colored or pale stool can be a cause for concern. Some people who experience pale stool ignore it, thinking there is nothing they can do about it. Normal looking stools are various shades of brown, and this is normally a result of a healthy diet. Clay-colored stools are pale, white, or look like clay or putty. This type of stool in adults can be the result of medical testing. For example, a barium enema—which is a special X-ray test of the large intestine—can be conducted to help uncover disease affecting the intestine. 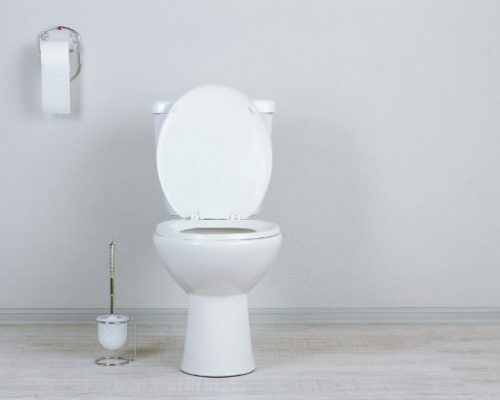 The inability to absorb fat properly may lead to the light-colored stool. The term for this is “acholic” and it is usually a result of lack of bile. Bile salts are released into stool by the liver and give them their brown color. When the liver is not producing enough bile, or when the flow of the bile is blocked, stools become clay-colored. Pale-colored stool in adults is no reason for alarm if it only happens once in a while, but when it happens frequently, seeing a doctor is important to rule out illness or disease. The causes and symptoms of clay-colored stools are wide-ranging. For some people, the cause can be as simple as a certain medication they’re taking. For instance, some anti-inflammatories can cause clay-colored stool. Antibiotics, anabolic steroids, and some birth control pills have also been known to cause clay-colored stool. Viral hepatitis – Swelling or inflammation of the liver due to viruses like hep A, B, or C. In most cases, symptoms don’t appear until liver damage occurs. They include dark urine and flu-like symptoms. Alcoholic hepatitis – An inflamed or swollen liver due to excessive alcohol consumption. Along with clay-colored stool, the symptoms include yellowing of eyes and skin, increased fluid retention, and pain in the abdomen. Biliary cirrhosis – Irritation of bile ducts in the liver. Itchy eyes and skin, as well as dry mouth, can accompany the clay-colored stool. The exact cause of biliary cirrhosis is unknown and it can be fatal. Gallstones – Hardened deposits in the gallbladder that can block the flow of bile. Many people don’t experience symptoms, while others complain about pain in the back, stomach, and right shoulder. Sclerosing cholangitis – Inflammation or scarring of the bile ducts. Some research suggests the cause could be genetic. Structural defects – Some people are born with defects in their biliary system that prevents the flow of bile. Biliary stricture – Gallbladder removal surgery can lead to narrowing of the bile ducts. Fever, chills, itching, nausea, vomiting, as well as upper right abdominal pain are some of the symptoms. Tumors – Bile duct tumors can interfere with bile flow and inflame the liver. Symptoms include jaundice, loss of appetite, itching, fever, and pain on the right side. Cysts – Cysts on the bile ducts can prevent the flow of bile. Symptoms include jaundice and a mass in the upper right side of the stomach. Complications resulting from untreated pale stool is jaundice because there is a build-up of bile in the body which makes the skin appear yellowish. Jaundice is also a symptom of liver disease and so it’s highly important you see your doctor if you notice color changes of your skin and the whites of your eyes. A doctor will ask a series of questions about lifestyle, including what medications are being taken. Tests may also be performed to help diagnose the cause. Those possible tests could be blood testing to detect infections, CT scans to see if there is swelling of the liver, liver function tests, abdominal ultrasounds, blood work to test for infections, endoscopic retrograde cholangiopancreatography – which is an endoscopy for the pancreas and bile ducts – and magnetic tomography cholangiopancreatography (MRCP) to capture images of the biliary system. Once a cause is determined, the doctor will have a much better idea of how to treat the clay-colored stool. Since the clay-colored or pale stool is usually a result of an underlying health condition, doctors will focus on helping the patient treat and manage the condition. If malabsorption of fats is causing the clay-colored stool, then a change in diet and vitamin supplements are often prescribed. In situations where bile ducts are blocked, surgery may be the answer. When the problem is linked to the gallbladder, surgical removal of the gallbladder may be the best way to address it. There are cases where removal is not necessary, but surgery to fix the issue can be performed. Bile acid dissolution therapy is an alternative to surgery in situations where there is a gallstone less than 0.5 mm. This treatment can last anywhere between 6 to 12 months and involves taking an oral solution to help dissolve gallstones. When it comes to repairing strictures in the bile duct, surgery is also a possibility. It will allow bile to flow properly again. Lifestyle changes, such as diet, elimination of alcohol, and medication adjustments are also treatment options for clay-colored or pale stool. The details presented here are not intended to cause panic. When you have a clay-colored stool on an occasional basis, you don’t have to rush off to the doctor. If you experience clay stools on a regular basis, you need to see a healthcare professional so you can be checked for possible medical conditions. In cases where urine is darker than usual and jaundice is present in addition to pale stool, immediate medical attention should be sought. Once the underlying cause of clay-colored or pale stool is treated, stools should return to their normal brown color. When disease is a factor, it could take some time for treatment to be effective. If the cause is incurable, you may continue to have pale or clay-colored stools, but the most important thing is to follow any prescribed treatment, as it will be addressing whatever the underlying problem is.